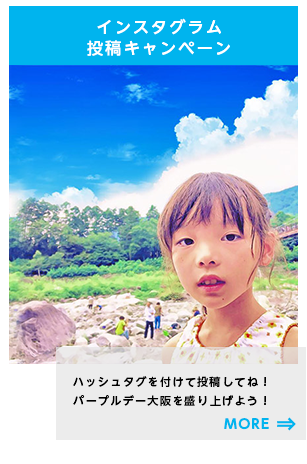 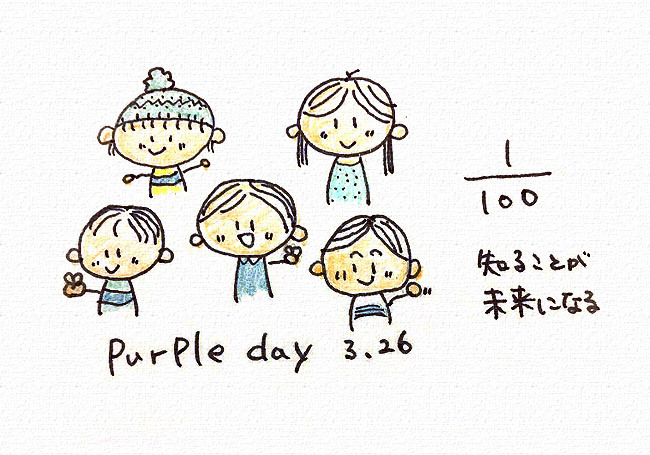 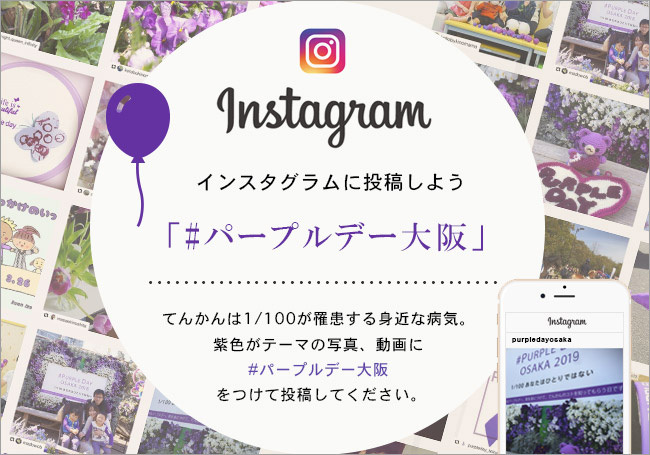 Do you know “Purple Day”? 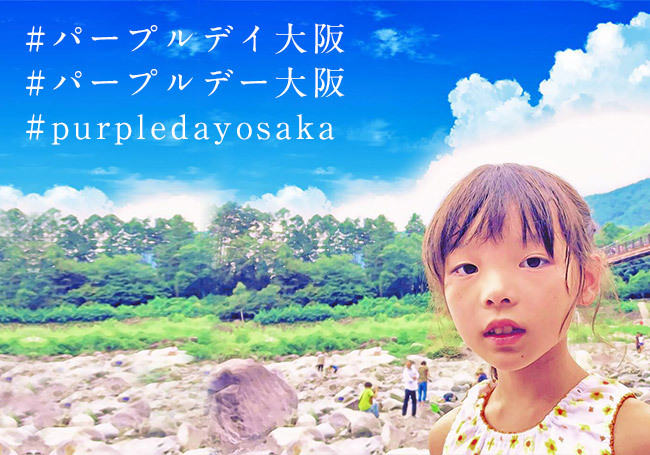 Purple Day is a worldwide awareness campaign for epilepsy. 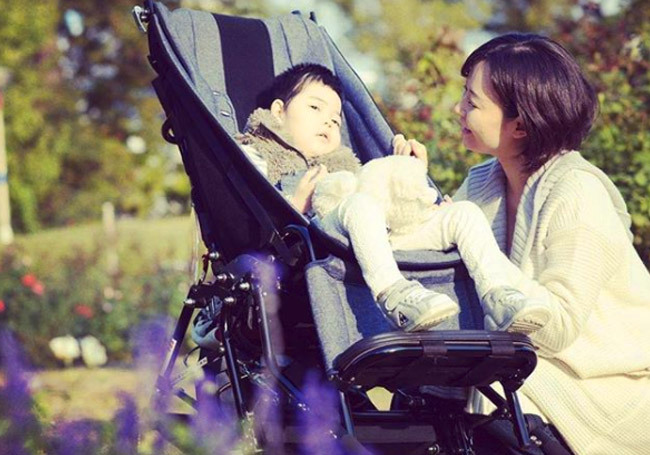 Epilepsy is a common disease, but many people with epilepsy feel afraid to share their struggles with epilepsy because of discrimination. 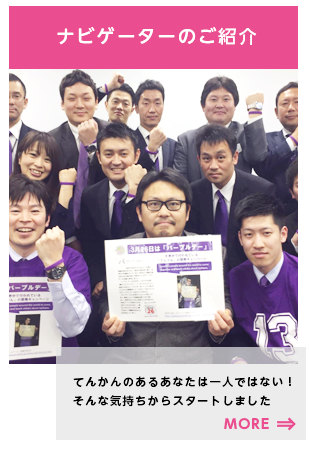 People who have epilepsy are not alone. 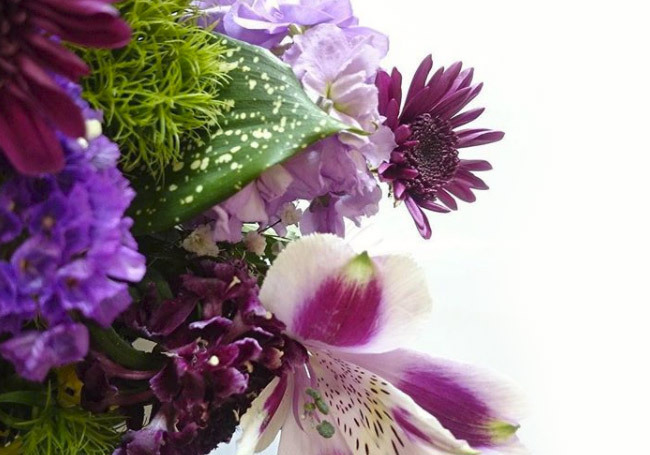 You can tell your support massage by putting on something purple on March 26th. 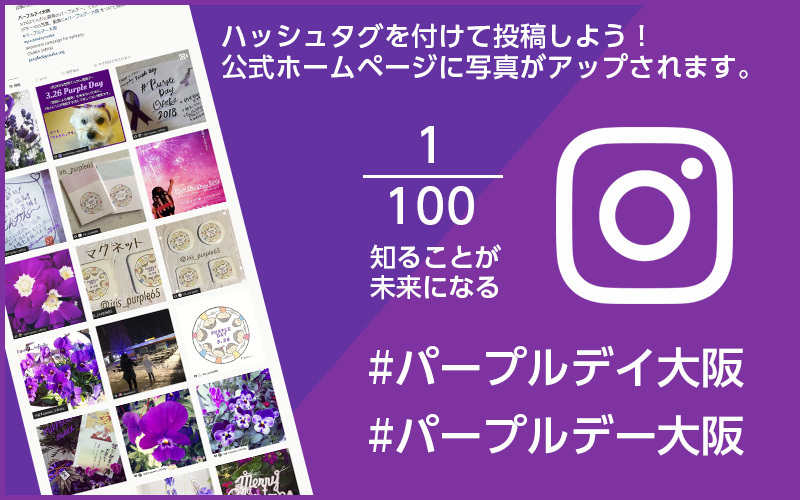 Why don’t you join the “Purple Day” with us? 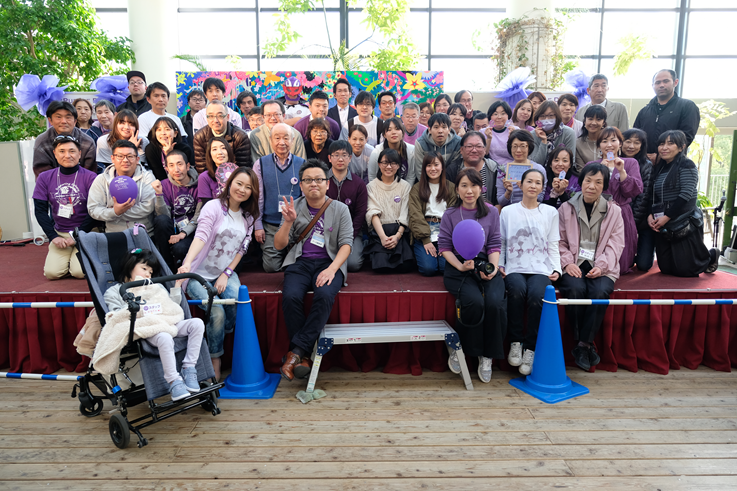 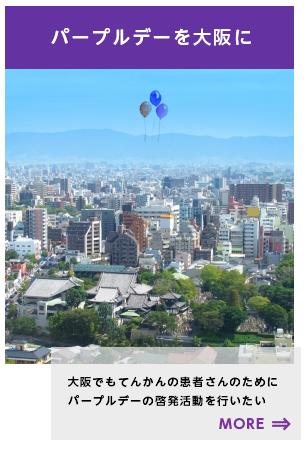 Copyright© パープルデイ大阪【PURPLE DAY OSAKA】 , 2019 AllRights Reserved.